Using technology in the classroom may seem daunting and also challenging, particularly using digital tools that may be unfamiliar and especially within a live teaching session. So, how do you start, what tools are available and how can you use them? This post features the first in a series of case studies focussing on the use of digital tools in the classroom. Sarah Martin, Lecturer in Sports Therapy & Rehabilitation used Padlet in the classroom following on from a post by the Digital Innovation team, highlighting the benefits of digital technologies. She used the tool as a collaborative space, which she setup for her students to engage with using their smart devices during the sessions. Within the Padlet boards, Sarah setup colour-coded sections to inform, guide and challenge her students’ knowledge during the sessions. As a result, students were able to anonymously engage in activities and the boards could be accessed at any time or place to aid retention and reflection for the subject. Padlet is an online tool for creating digital boards, which teachers can use to create interactive activities and reflective spaces. The Padlet boards integrate well with smart devices and students can add content, such as text, images, videos and audio clips. Teachers can use Padlet to hold live Q & A sessions with students and test the students’ knowledge. It also works well as an anonymous space that students can request feedback on related to something they are unsure about. So, rather than raising their hand in class, which not everyone is comfortable with, the student can ask what they like. The space is also captured and recorded and teachers can create on-the-fly screencasts to demonstrate a particular aspect of their teaching or to answer a board question or request from the students. Digital innovation in the classroom from University of St Mark & St John on Vimeo. 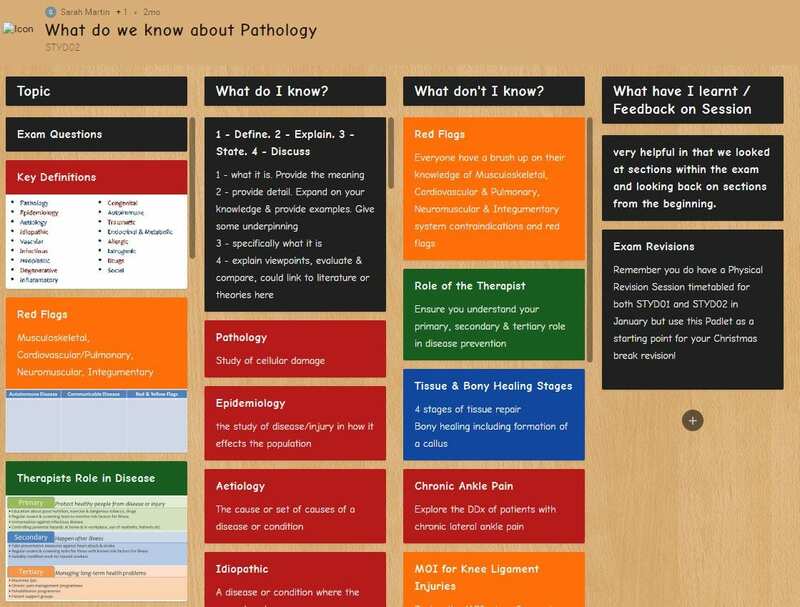 Sarah setup two different Padlet boards, one for an ‘introduction to correlations’ and another for ‘what do we know about pathology’. The idea being that students could read information about their subject area, then seek guidance via embedded screencasts & media followed by tasks to test their knowledge. Sarah could then monitor the activity live via a thumbs up or down option on each section. 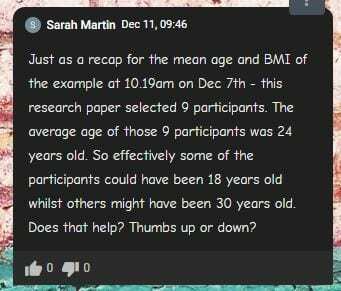 So if the student added a thumbs down, Sarah would know that a student found something difficult to follow or understand. If a student added a thumbs down, she could then follow this up by providing a quick screencast or text response. In addition to the provision of the Padlet board, Sarah also opened up a Moodle chat area – this allowed students to chat with each other and also ask instant questions. 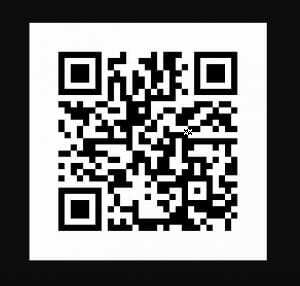 In terms of using Padlet, it was extremely easy to use and the students could simply scan a QR code, generated by Padlet through the Marjon mobile app. This made it accessible for anyone accessing the padlet on a mobile device. Padlet has been optimised for mobile and works in the browser, but there’s also a dedicated app as well. The only real challenge was personal engagement, so students were using their phones and devices to communicate to the screen a lot. This didn’t prove to be an issue really because the students all worked collaboratively together in groups and then once all the findings had been posted on Padlet, they put the devices down and talked about the activities. Students were able to collaborate and utilise their mobile devices to interact in the session. This encouraged a more interactive and engaging experience for them. Although the session was by its nature more activity-based, the tool enabled those students that were less confident to actively get more involved and voice their questions. This in turn provided a more inclusive environment and improved participation. It works really nicely as an interaction, Sarah Martin. It’s actually a really nice way of capturing everything that they’re doing, Sarah Martin. The students themselves also posted messages that highlighted their own positive experiences of using Padlet. Enjoyed the interactive session. Thanks! Padlet accounts are free to create, but the premium or educational version is not yet available to staff. If staff would like to have access to the full features of the software, we have created an expression of interest form. With sufficient numbers of requests, we can make a case for purchasing the licence for the university. This entry was posted in Mobile, Resource, Technology. Bookmark the permalink.